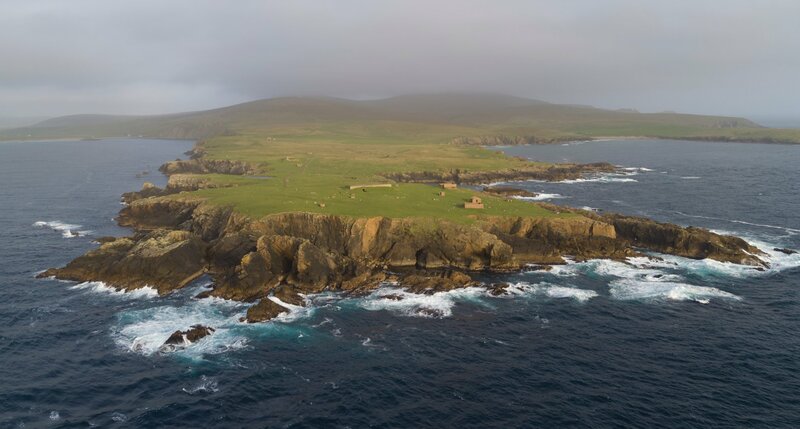 THE TEAM behind the proposed Shetland Space Centre has joined forces with Faroese Telecom to work on providing infrastructure at its Unst site. The state-owned telecoms company is keen to support high speed fibre broadband and future 5G mobile data being brought to the space centre. As previously reported, Faroese Telecom representatives were in Shetland recently to express its desire to help bring 5G to the isles. Faroese Telecom would also provide technical and commercial support for ground station activity and data download and storage in Unst. Shetland Space Centre will also provide in return “specialist support for the establishment of a Faroese ground station”. Director Frank Strang said the “strategy is to create a network of satellite tracking stations, making the best use of our geography and locations”. “The Faroese share our ‘can do’ culture and love to get on with it and make things happen,” he added. Faroese Telecom has already carried out initial research on an Arctic satellite program in partnership with strategic allies in the region. “The space economy is moving at a tremendous speed and I believe that we have to be able to match that pace to maximise the huge opportunities that exist in the commercialisation of space,” said Faroese Telecom chief executive Jan Ziskasen. Shetland Space Centre aims to establish a ground station for satellite tracking and communications in Unst by late 2019, and it has the support of aerospace giant Lockheed Martin. The company is also still keen to create a satellite launch site at Lamba Ness.